For this program YIVO joins forces with the young, “intrepid” (New Yorker) vocal and instrumental chamber ensemble Cantata Profana to present Gustav Mahler’s epic song symphony, Das Lied von der Erde (The Song of the Earth) in Arnold Schoenberg and Rainer Riehn’s chamber orchestra arrangement. 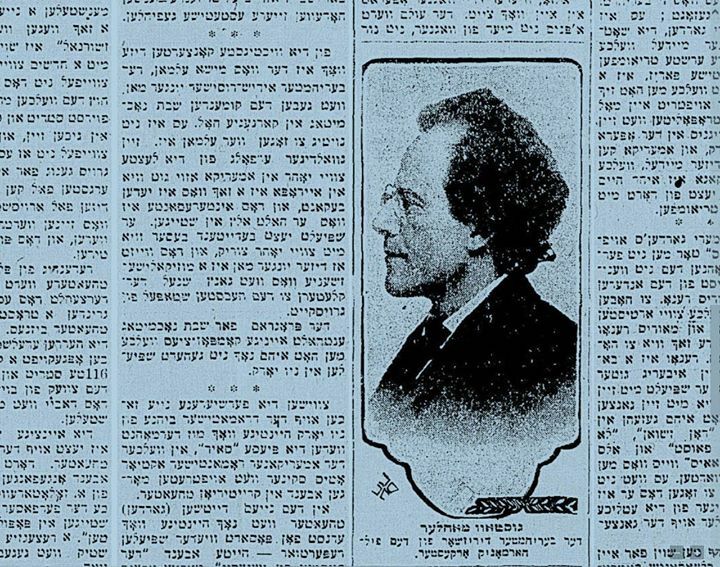 The program places this work in the context of its German and Jewish milieu pairing it with short works by Arnold Schoenberg, Johann Strauss II, Giacomo Meyerbeer, and Louis Lewandowski, as well as a new work by composer Alex Weiser showcasing a Jewish folk melody which Mahler might have heard as a young man. Alex Weiser will introduce the program with a brief discussion of Mahler’s Jewish identity, both from Mahler’s perspective and from that of those around him. Zingen far Sholem "Singing for Peace"